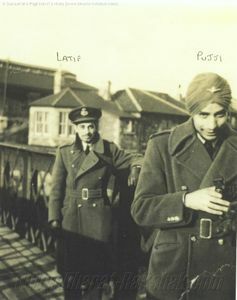 This album consists of photographs from Sqn Ldr M S Pujji's initial days of training and operations from the United Kingdom in the 1940-41 period. 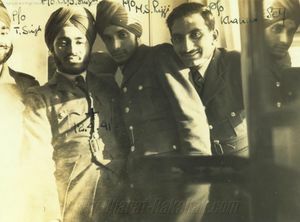 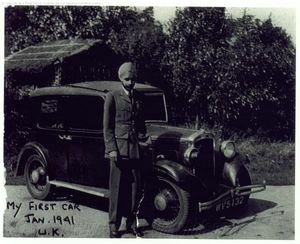 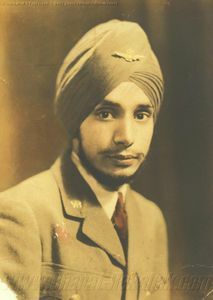 Pilot Officers Trilochan Singh, Gur Bachan Singh, Pujji and Khanna, taken in the United Kingdom. 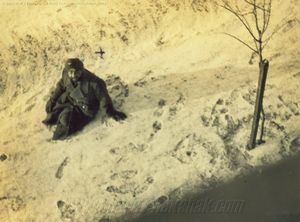 In the snow - it would seem that first exposure to snow was as much a rite of overseas visits then as it is now! 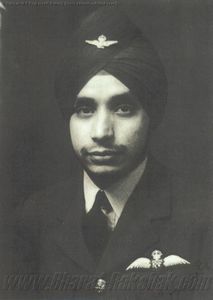 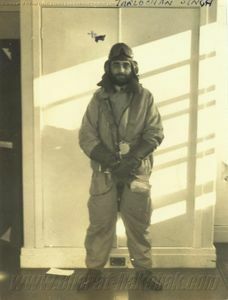 Pilot Officer Trilochan Singh - All set for flying. 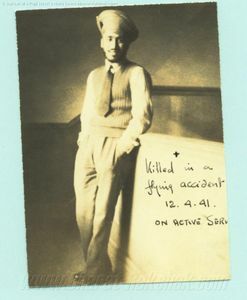 Trilochan is believed to have returned to India but his fate is unknown. 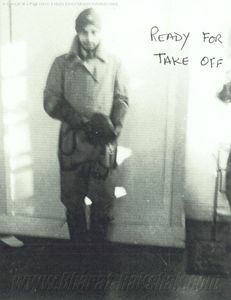 The 1945 Air Force List does not him in service. 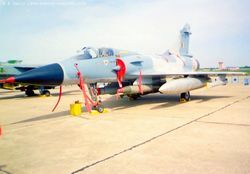 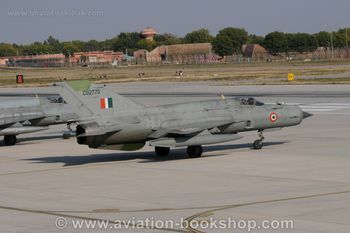 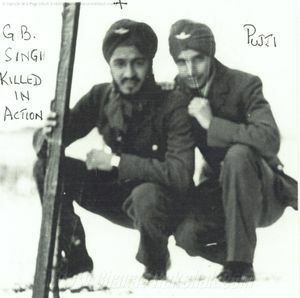 Pilot Officer M S Pujji, "Ready for Take Off"
With Pilot Officer Gurbachan Singh - Gurbachan commonly referred to as "G B" , was the first casuality among the "24". 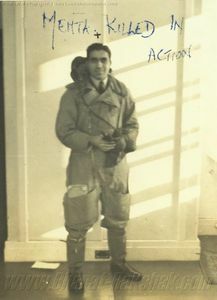 While flying with 9SFTS in a Miles Master, his aircraft hit a telephone wire at Wiltshire and crashed. 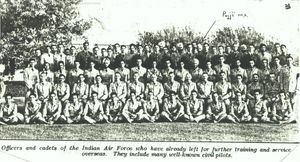 Hukum Chand Mehta, seen once again, standing next to Pujji. 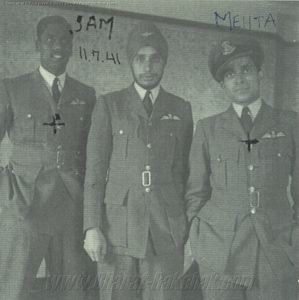 Pilot Officers Anandraj Samuel Gnanamuthu, MS Pujji and HC Mehta. 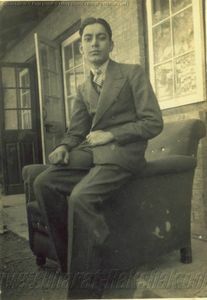 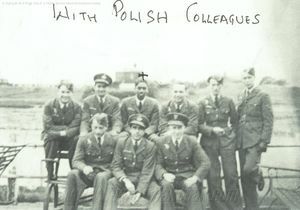 Samuel Gnanamuthu failed to return from a Rhubharb sortie while flying for 32 RAF Squadron. 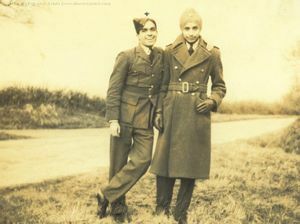 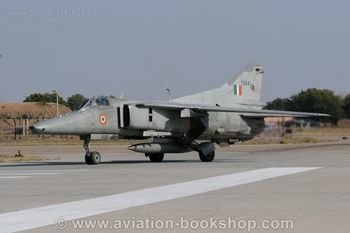 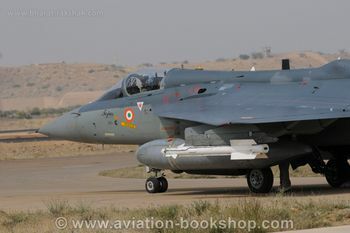 Pujji all set for a sortie over UK. 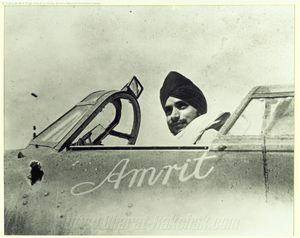 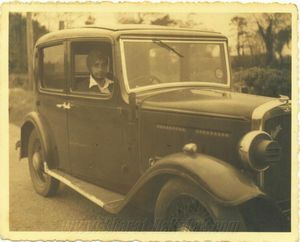 The Hurricane was named "Amrit" after Pujji's fiancee at that time (and later his wife).